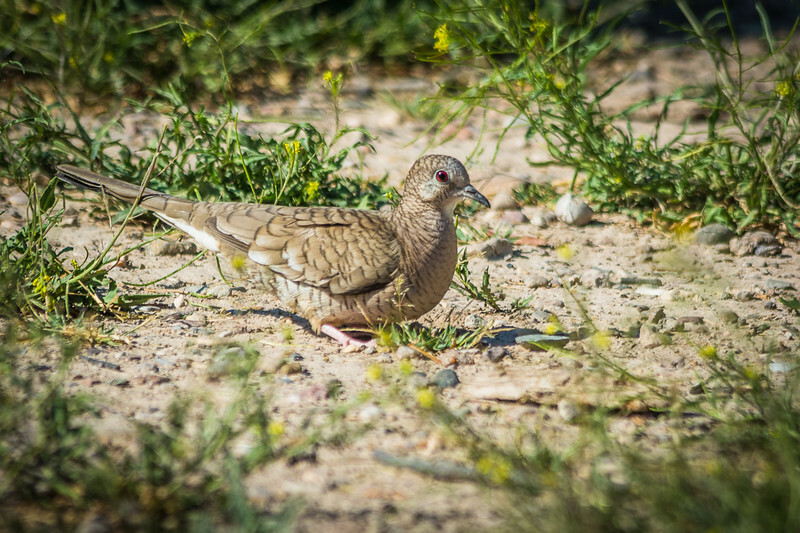 One of the first birds I saw was this Inca Dove. The red eye is beautiful, but a closeup of the feather pattern is truly amazing. I think I have a closeup in a later photo.